TeeChart for Microsoft Visual Studio .NET, Xamarin Studio (Android, iOS & Forms) & Monodevelop. My name is Tony. I hope somebody can help me. Many thanks in advance! I have a Project (Visual Studio 2012) with TChart v.2018. When I try to serialize and deserialize a Gauge to save it and open I receive an error. If you need any more details or information, please tell me. Could you please retouch the above example so I can reproduce your issue here? I have downloaded the nuget package and now is running. But, now a watermark is showing in my charts "This is an EVALUATION versión...."
Last thing I have done is to search for the "Steema_License.zip" file, but I cant find it anywhere in my PC. Where is it supposed to be? 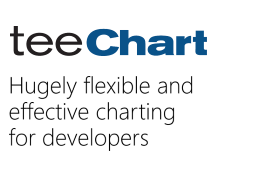 if you have a valid license for TeeChart.NET Pro then you can write to sales@steema.com and they will be happy to give you the necessary Steema_License.zip. If you don't have a valid license then they will be happy to provide you with one!